An exploratory journey of an educator who thrives for meaningful conversations. 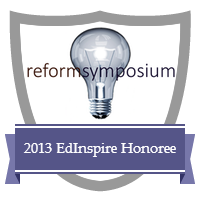 Lifelong Learning, Education, Ed Tech, Change. One Word is a focal point that gives direction and purpose to what I do. It’s not a have-to. It’s a want-to. It’s already surprising me. Let's choose just one word that will help us move forward, being the focus of our year. I invite you all to try it and start your own micro-revolution with the simple direction that one word can provide us. Close your eyes and think of 2014. Write it down, take a photo, make a drawing, make it visible to you in some way. Now, create your motto of the year with this word. Revisit your word and motto throughout the year and transform them into action, even if it is just one, a powerful one! Share your word around. It can be here, or in any social media. It will make you accountable and you will involve your own network in your 2014 . My word of the year is one related to evolvement, development, growth, change, expansion in many dimensions of my life. Let's see where this word will lead me! My motto, "Evolution as a personal revolution". So, what's your word and motto for 2014? I do this in September. :) Mine this year is 'evolve teaching' with the first four letters of evol backwards being 'love'. I think we are in the same wavelength, Tyson. Thanks for sharing it! My word will be "Tolerance" in general. Tolerance is great as a choice, Cleidoca, and it reminds us of the need for flexibility and divergence. Loved it, Just! Just in Action! Worth a t-shirt. Amazing post with beautiful examples. Very good for inspiration.Thanks for sharing ! Conversations are sparklers for deepening thoughts and maturing ideas. Share, connect, leave a comment. I'd love to hear from you. To follow up on the comments here, click on the "subscribe via email" below the comment box, on the right. This is part of an initiative called "Vale a pena ficar de olho nesse blog". 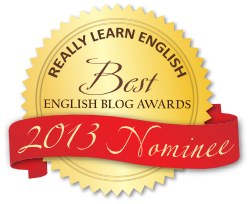 The chosen blog has to copy the picture, with a link to the blog from which it has received the award . Then write ten more links to the blogs which are well worth a visit. Thanks to Cláudio Azevedo http://bit.ly/grammarmovies for linking me to this project. I'll consider this space as my Further Explorations blog. 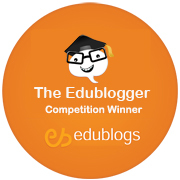 Check my Explorations blog, which was nominated for the Edublog Awards 2008. I'll consider this as a Further Explorations blog.